Verbatim 8cm double layer discs at this time providing up to 2.66GB data capacity or enough to hold nearly an hour's worth of video camcorder footage. The Mini DVD+R DL media provides a reliable and cost effective format for video/data recording, distribution. 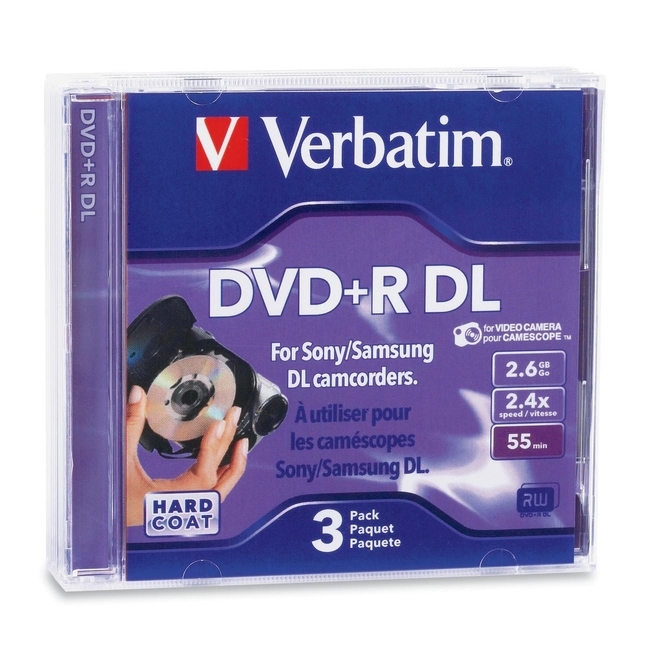 This product also includes Verbatim's VideoGard protection for protection against everyday handling of the discs.Like the full size 12cm DVD+R DL discs, these discs are fully compatible with the DVD+R DL standard and should be compatible with pretty much any DVD drive that can play full size DVD+R DL discs, including many standalone DVD players.